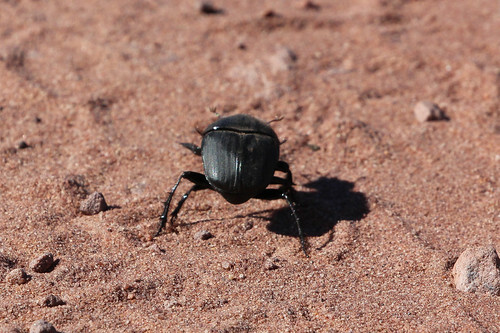 Elephant Dung Beetle (Scarabaeidae subfamily Scarabiainae – possibly Anachalcos convexus) on Elephant dung along the Mahone Loop Road near Punda Maria, Kruger National Park, Limpopo, South Africa. Photographed on 6 June 2018. Any assistance with identification would be appreciated.